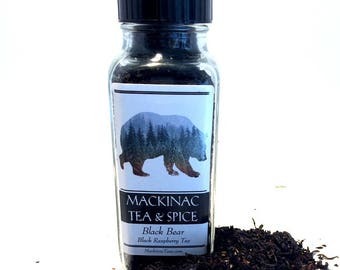 Mackinac Tea & Spice Co - Artisan Teas & Spice blends. MACKINAC ISLAND CHAI - Chocolate Chai Tea - pics and descriptions to come soon. 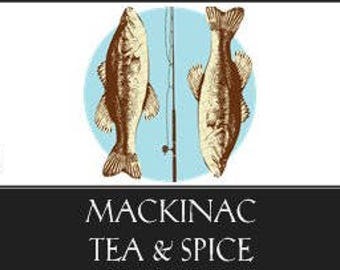 Announcement Welcome to Mackinac Tea & Spice. We are so Happy you found us! 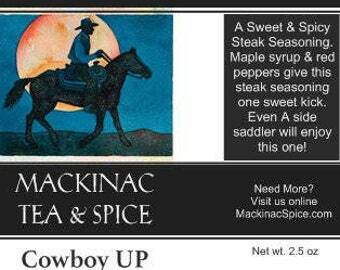 After many Farmers Markets, Maker's Marts and Renaissance Festivals we are here online for easy reordering or starting a brand new tea habit. 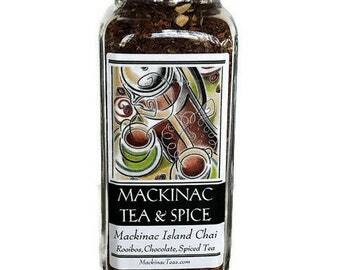 Welcome to Mackinac Tea & Spice. We are so Happy you found us! BLACK BEAR - Black Raspberry Tea - pics and descriptions to come soon. NORTHERN SPY - Apple Apricot and Cinnamon Tea - pics and descriptions to come soon. 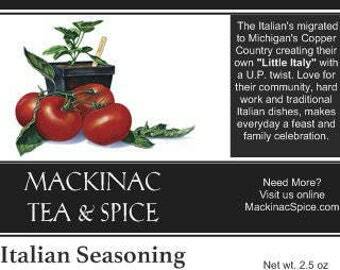 ITALIAN SEASONINGS - Rich red sun dried heirloom tomatoes give this spice its sweetness. Love these spices! Received quickly. Also enjoying the tea samples - yum! Shipping a box of Tea for Wedding Party Gifts. 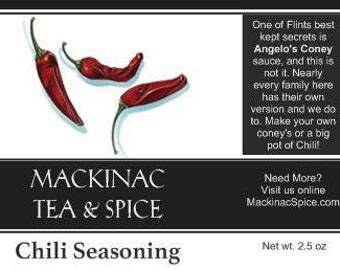 A perfect Michigan Wedding souvenir. 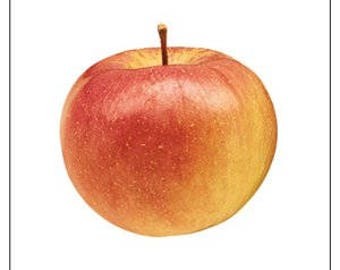 LeeLanau Wine Berry- Makes a fantastic Sangria. Pour over fruit and add white wine for a refreshing Iced Tea cocktail. The Tea Truck holds a lot of Tea! 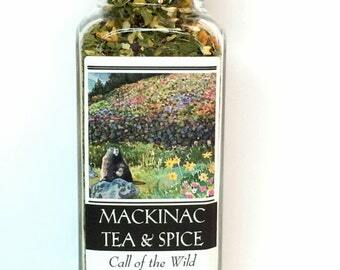 Tea Tasting our way around the Michigan Mitt. 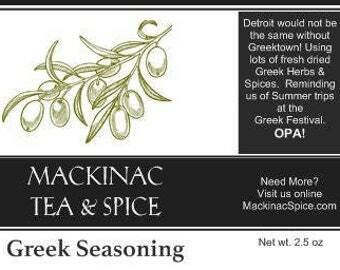 rather than selling our Teas in a traditional retail space, we hit the road to bring our tea & spice blends directly to you. 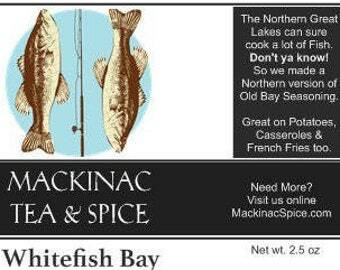 We started popping up at local farmers markets, Ladies Nights and Makers Marts all over Northern Michigan. Iced Tea Coolers. Finally an alternative to sodas! Taste our refreshing, all natural Teas plain or in one of our cocktail concoctions. 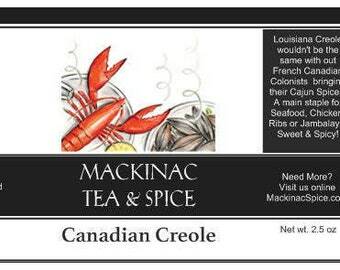 Like a Tea based Sangria with Leelenau Wine Berry or a Mint Tea Mojito with Lake Michigan Mint. Shop our online Tea Shop and try one today. Leave us your favorite Tea Tail recipe and we might just send you a little something special.